The Mountaineer Hunter Jumper Association was founded in 1998 to promote riders in the tri-state area that show on the local level. Our mission is to instill a foundation for riders to help further their knowledge and involvement in the horse community and promote a healthy approach to competition. We sanction more than 25 hunter/jumper shows on our circuit. 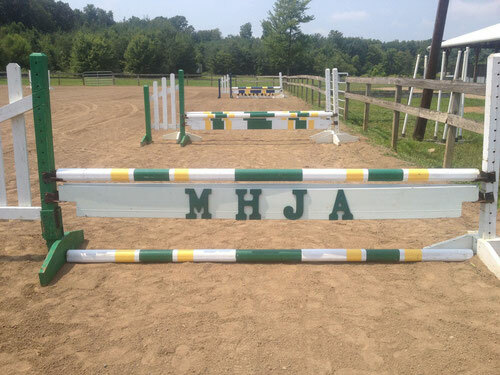 In 2004, MHJA hosted its first Endless Summer Schooling Show, and it was a great success with over 120 entries! The Endless Summer Schooling Show continues to grow each year. The show attracts top notch competition from all over the tri-state area. Our year-end awards banquet in December honors all our members and recognizes their accomplishments throughout the year. Members are presented with trophies and ribbons for their placings in their selected divisions. Our members represent a broad spectrum of individuals ranging from professionals and adult amateurs to junior riders. Our recognized divisions range from Walk-Trot and Beginner Riders to Adult Amateur and Open Hunters and in Jumpers - from Puddle Jumpers to Schooling Jumpers. We also award points in the Equitation Divisions.